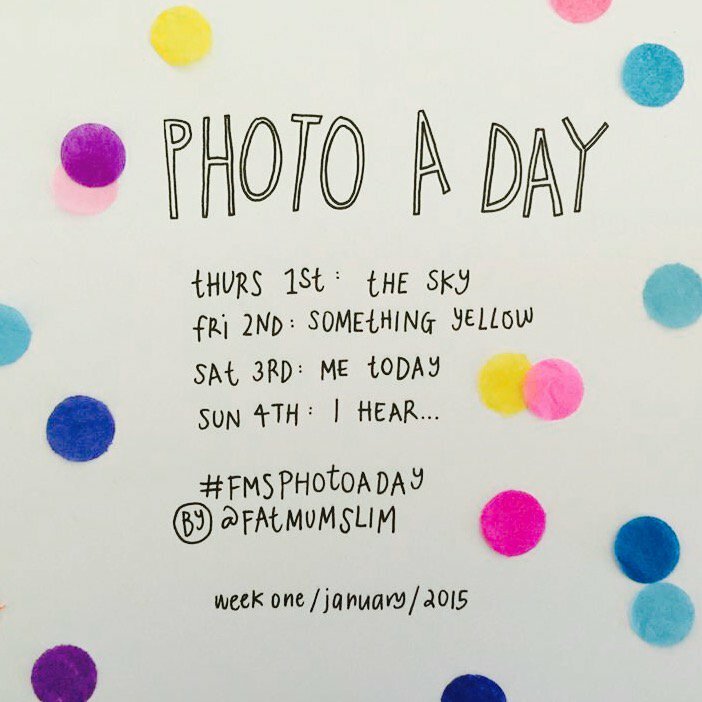 In a super obvious bid to get more page clicks, FatMumSlim has changed the monthly Photo-a-Day prompts from monthly to weekly. Now, instead of checking into her blog to get the Photo-a-Day topics once a month, you have to visit her website every week. But, I guess if I am going to re-post them weekly, I win too, so thanks, Chantelle!! That was unnecessarily snide and I apologize. If I had something that could keep people interested and coming back for page hits and make a shitload of money from it, I’d do the exact same thing and I’m not afraid to admit it. I just think it’s funny that she kept hyping this “big shake up” in the list and essentially, it’s the same thing except by week instead of month. That’s not really a shake up, lol. Anyway, here is the list. I sound like a hater but I’m not, I swear. See you back on Monday, then. This entry was posted in Photo-a-Day Challenge and tagged 2015 photo a day, FatMumSlim, FatMumSlim Photo Challenge, FatMumSlim Photo-a-Day List, January photo-a-day, photo-a-day challenge. Bookmark the permalink.